Dr. Kostantinos Fousekis is a physiotherapist with a specialization in soft tissue mobilization and Sports Physiotherapy. He is Assistant Professor in Sports Physiotherapy of the Department of Physiotherapy of Technological Education Institute of Western Greece. He has a long experience in rehabilitation of musculoskeletal and sports injuries and is a professional physiotherapist of professional soccer teams. He is the author of the book entitled «Clinical Sports Physiotherapy» and of several scientific publications (https://scholar.google.gr/scholar?hl=el&q=kfousekis&btnG) regarding the evaluation and rehabilitation of sports and musculoskeletal injuries with soft tissue techniques. 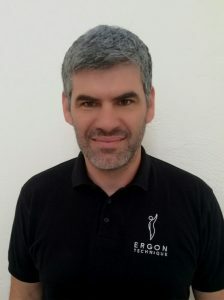 In collaboration with Konstantinos Mylonas developed older IASTM techniques and created the technique ERGON TECHNIQUE as the basic treatment of painful and non-musculoskeletal disorders. 2012 “Intrinsic risk factors of noncontact ankle sprains in soccer a prospective study on 100 professional players.” Elias Tsepis, and George Vagenas. The American journal of sports medicine 40.8 (2012): 1842-1850. 7 2016 Elastic Bandaging for Orthopedic and Sports Injuries Prevention and Rehabilitation: A Systematic Review. Billis, E., Matzaroglou, C., Mylonas, K., Koutsojannis, C., & Tsepis, E. (2016). Journal of sport rehabilitation, 1-28. 8 2017 Association of low back pain on physical, sociodemographic and lifestyle factors across a general population sample within Greece. Billis, E., Koutsojannis, C., Matzaroglou, C., Gliatis, J., Fousekis, K., Gioftsos, G., … & Tsepis, E. Journal of back and musculoskeletal rehabilitation 30(2) 279-290. Decide on an injection area either upper arm buy voltaren 1 gel thigh or..